Introducing TouchDMIS, simple, yet powerful CMM software that is easier to learn and use. 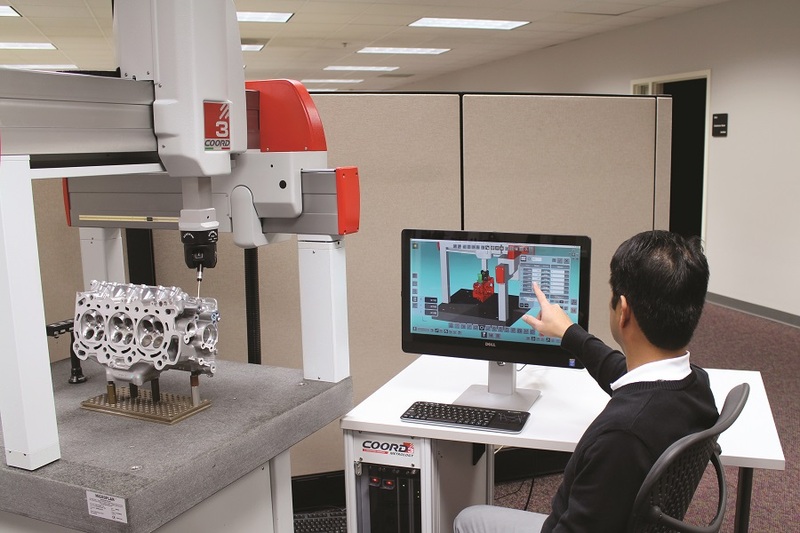 CMM software doesn’t need to be complicated. You can learn TouchDMIS in under 4 hours! The minimalistic user interface of TouchDMIS has been ergonomically developed to provide maximum productivity for both novice and expert CMM user and utilises the latest touch technology platforms. TouchDMIS incorporates floating toolbars to maximise the graphics area with the principle software functionality accessed via eight large function buttons. TouchDMIS has no drop-down menus, no stacked toolbars and all functionality is simply accessed with a single touch. All popular 3D CAD packages including CATIA V4, V5 and V6, Solidworks, PRO/E and UGNX etc. All of the products that we supply, including the TouchDMIS range of CMM software, are of the highest quality and are sourced from leading manufacturers from around who are the leaders in their field! We know CMMs and CMM software and we can help you choose the right product for your application and to suit your budget. With many years of industry experience you can rely on our advice to make the right choice. The latest TouchDMIS video demonstrates just how easy the software is to use and to program measurement routines, saving time and improving CMM productivity. Find out how TouchDMIS can improve your productivity. Please get in touch for more information! TouchDMIS is a leading software platform for CMMs. The following summary details the features and benefits.